Welcome to Idaho, The Good Life! 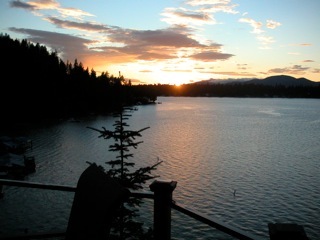 I am Jack Schwartzmeyer, and I am a REALTOR® based in the beautiful city of Coeur d'Alene in North Idaho. I service all of North Idaho's Real Estate needs, including residential and commercial properties. I am available every weekday, and on weekends by appointment. North Idaho, also known as the Idaho Panhandle, is a beautiful area. We border Washington, Montana, and British Columbia. I specialize in first-time home buyers. If you would like to get to know me better, you may read my biography, and you may call me at (208) 661-4157 so that we can schedule a personal meeting. If you would like to see some listings that I have to offer, follow this link. To search for houses using the MLS, courtesy of Realteam Real Estate Center, click here. Idaho truly is the Good Life! For a list of all the ways to contact me, click here.